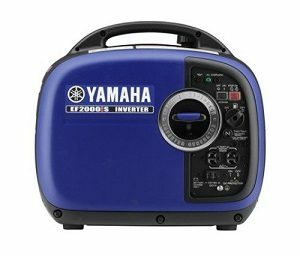 Yamaha EF2000iSv2 is a great little generator from this very well known manufacturer which comes with a host of unique features which are sure to impress. Nearly everyone can use a portable generator at some point – some people may find that they get a lot of use out of a little generator like this, such as if you regularly go fishing on a small boat and require power to run some small appliances on the boat. Even those of you who go camping once or twice a year are sure to get a lot of value from this product. This Yamaha EF2000iSv2 Review is based on a very expensive generator, but also one which comes packed with some great features. If you’re shopping on a budget then you may want to look at some of the other brands which are reviews on this website – however if you need the absolute best then please read on. The following is the All Power America APG3014 Review with 2,000 Watt 4-Stroke Gas Powered Portable Generator. Introducing the APG3014 generator model, an addition to the All Power America line. 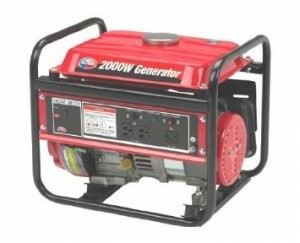 A portable and lightweight generator which is best seen used in camping or as a back-up in a power outage. With a max watts of 2000 watts and an about of 1400 this isn’t the strongest 4 stroke generator on the market but is still appreciable for the modest price. It’ll also run for 9 hours at 50% load which is a competitive rate for the others in the market. Read on for a more thorough description of the key features in this All Power America APG3014 review. This website is dedicated to providing quality unbiased information on Portable Generator. Portable Generator Master.com is build to help people to choose the right one. Read our reviews to help you make the best purchasing decision for camping, home use, emergencies and professionals. There are many reasons why people might consider getting a generator like me, including disaster preparedness or camping. If you live in an area in which you continually face power outages, having a reliable generator on hand could be a lifesaver. In the case of my brother in law, who is last in line for power restoration and spent almost one month without electricity, has never regretted his purchase. Portable generators not only help protect your family and possessions during a power outage but are also useful when camping, on the job site or anywhere you need power. Here you will find helpful reviews, informative information and tips and much more. This site is in the format of a ‘weblog’ so that each time I post new information, it will come to the top of the front page. You can check back here frequently to see new updates to the information found here. You can navigate through the site by using the menus on the sides of the page. Also don’t hesitate to follow the links you see in bold throughout each post to learn more about the product.